We’d love your help. 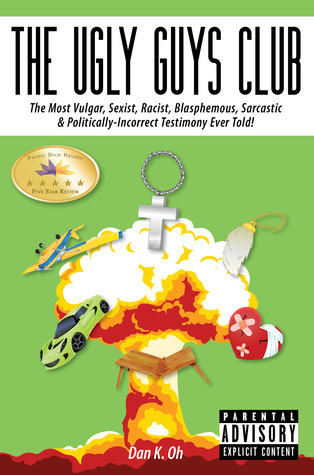 Let us know what’s wrong with this preview of The Ugly Guys Club by Dan K. Oh. To ask other readers questions about The Ugly Guys Club, please sign up. Boy meets girl, boy loses girl, boy blames God. It’s a romantic comedy revolving the insane story of Dave, a hopelessly-romantic who searches for love and relationship in the United States only with the ones that keep rejecting him. Once he’s had enough with the heartbreaks year after year, he finally decides to plan a coup with an army of his imaginary minions against the Master of the Universe, which happens to be the Intelligent Designer a.k.a. so-called The Creator, God, if indeed exists at a Boy meets girl, boy loses girl, boy blames God. It’s a romantic comedy revolving the insane story of Dave, a hopelessly-romantic who searches for love and relationship in the United States only with the ones that keep rejecting him. Once he’s had enough with the heartbreaks year after year, he finally decides to plan a coup with an army of his imaginary minions against the Master of the Universe, which happens to be the Intelligent Designer a.k.a. so-called The Creator, God, if indeed exists at all! Funny with a lot of original jokes, mostly sarcastic, not ripped from other comedians. HE'S IN LOVE WITH HER––SHE'S ENGAGED TO BE MARRIED! Warning: Boy meets girl, boy loses girl, boy blames God--not your typical saccharine sweet romantic comedy! It's a funny whimsical story about an ever-grumbling antihero who mourns about a bride that got away. So he tries to present his reasons to reject God and keep Him away all together while embracing his new found religion, atheism.